For years now there has been one product that I know I should own, but have never purchased for myself. 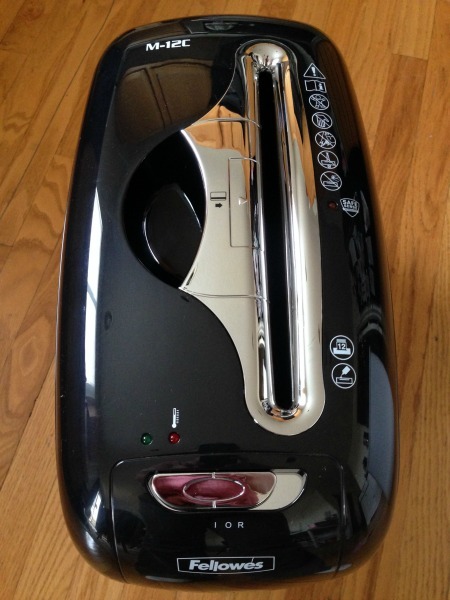 A shredder. 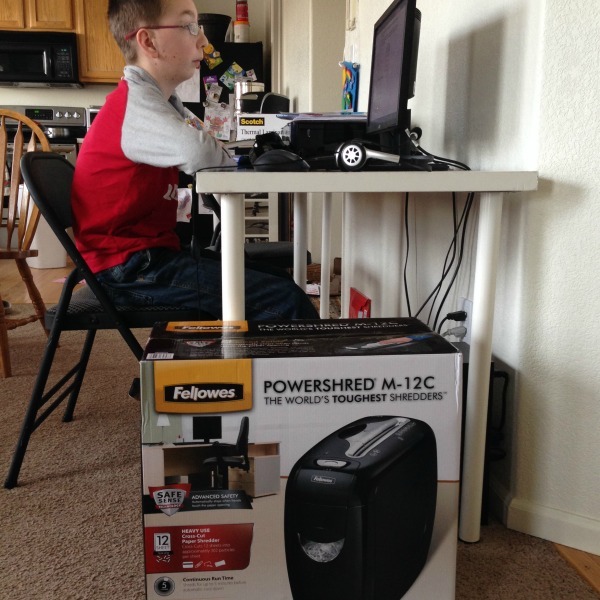 This post is a hint to you to remember that sometimes a useful gift is very much appreciated and why the Fellowes M-12C Shredder is a great idea to wrap and put under the tree this year. Ours sits in our school and office area. How much mail do we get in a week? All of it of course contains our name and address and many times will contain other pertinent and private information that we probably don’t want others to see. As I put out my recycling bin every week, usually the night before, I always wonder who will be coming down the street that night digging in my information. Paranoid? Maybe. But maybe not. Information theft is a big deal. I throw all of my paper scraps/junk mail/small cardboard in a paper bag after I rip the paper in half once or twice. Not very safe, huh? Usually I place the bag right in the recycling bin, but not anymore! Now if it could just help with the rest of clutter in this house! 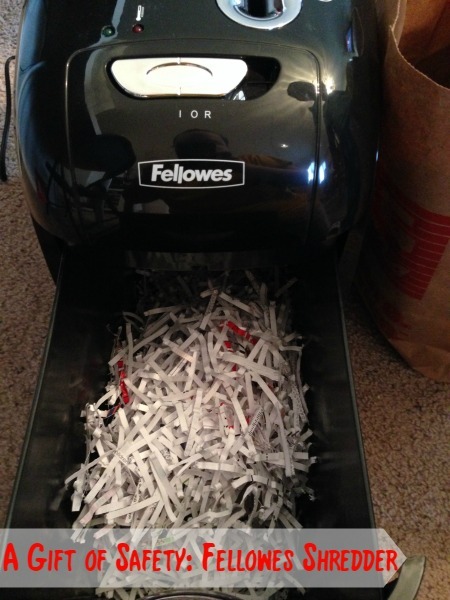 The Fellowes M-12C Shredder will now not only ease my mind, but it is fun! So fun in fact that the kids insisted on doing the work for me. See? One less chore for me to worry about! C’Man has even figured out that he can listen to his tunes at the same time. It’s pretty! Shiny and very techy looking. Cross-Cut blades that destroys 12 sheets of paper into approximately 302 shreds. 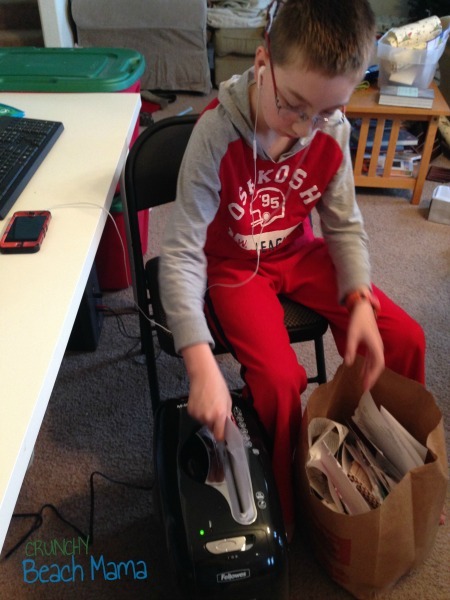 Can even shred hard materials like credit cards, paper clips and staples. This thing has power! A Gift of Safety is perfect for anyone! The M-12C is available at Target Stores and Target.com for $99.99. 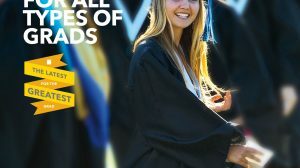 Check out Fellowes Shredders and follow along on Facebook and Twitter! Who are you thinking on your list needs one first?